Donald M. Robertson, Founder and Owner of Tactical Target Systems was born in Kansas City, Kansas and raised throughout the Midwest. This is where he developed his passion for hunting, fishing and shooting sports. After graduating Kansas State University with a Bachelors of Science Degree in Business Administration he moved to Los Angeles, California. 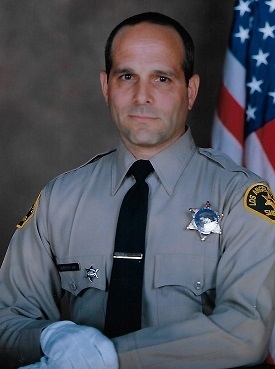 After 18 years of work in the in the private sector he became a Deputy Sheriff, graduating the Los Angeles County Sheriff's Department Academy in 1999. As a law enforcement officer he worked various different assignments ranging from Patrol Division, Custody Division, Court Services Division, and Special Units. During his career in law enforcement he received specialized training in firearms, armory management, and less-lethal weapons. He was also a Sheriff’s Department Training Instructor for Emergency First Aid and CPR. Deputy Robertson "Honorably Retired" after a proud and distinguished career in 2016. Deputy Robertson started designing his own targets while training in long range precision rifle shooting. After years of requests for them by both Law Enforcement Offficers and Civilians he opened Tactical Target Systems, LLC in 2011. Following 9/11, Deputy Robertson and six other members of his department worked in New York City supporting families of the fallen. With those experiences he has chosen to contribute a portion of all proceeds from TTS sales to tuesday's children and The American Cancer Society's fight against breast and prostate cancer.